Driving is an activity that demands a driver’s absolute focus and attention. Serious collisions are typically caused when negligent drivers speed or participate in distracted driving behaviors. 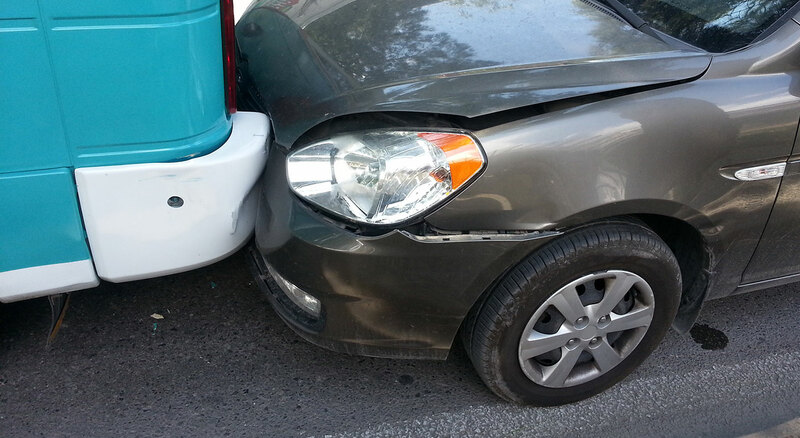 Consequently, a rear-end collision is the most common type of car accident in the United States. In fact, according to the Insurance Information Institute, rear-end collisions account for over 50% of all car accidents. If you’ve been injured in a rear-end collision by a negligent driver, contact the Peoria rear-end accident attorneys at Schierer & Ritchie, LLC. We can investigate the case, help you file an effective claim, and do everything in our power to maximize your damages. Rely on our 30+ years of experience! Contact our Peoria rear-end accident lawyers at (309) 839-2024 to hold a negligent party liable for your injuries. As the term implies, a rear-end collision is when one motor vehicle crashes into the back of another motor vehicle. Depending on the circumstances of the accident, this can lead to minor and catastrophic injuries for any parties involved. It’s not unusual for injury symptoms to gradually appear over time; in fact, some injuries can take weeks to appear. For this reason, it’s imperative to seek medical attention after any motor vehicle accident, even if you don’t think you’re physically injured. A doctor is trained to look for specific injuries and can make important notes in your medical record that can be used as evidence in your lawsuit. If you wait too long to seek medical attention, the defendant’s insurance company may claim that your injuries warrant less damages. Fortunately, you don’t have to go through this legal experience alone. Our attorneys can help you investigate the accident, document evidence, file a claim, and even negotiate with insurance companies on your behalf. We understand that compensation can be essential in facilitating your physical and financial recovery. As such, our priority is to focus on the legal aspects of your case and do everything in our power to maximize your claim so that you can focus on recovering in peace. While there are exceptions, Illinois law typically presumes that the driver who rear-ended another vehicle is ultimately responsible for the accident. Even so, recovering the compensation your injuries actually warrant requires a skilled and experienced lawyer. At Schierer & Ritchie, LLC, we can protect you from the manipulations of rival insurance companies and even litigate for your best interests in court. Our Peoria rear-end lawyers always go the distance to guarantee that we meet our client’s financial and legal objectives. You have 2 years to file a personal injury claim in Illinois. If you’re to pursue maximum damages, contact Schierer & Ritchie, LLC at (309) 839-2024 to schedule a free consultation.